The Jeep TJ's coil suspension is wonderful, but it leaves the steering box very vulnerable to the rocks. Our TJ steering box skid plates bolt on easily and only require the drilling of one hole. 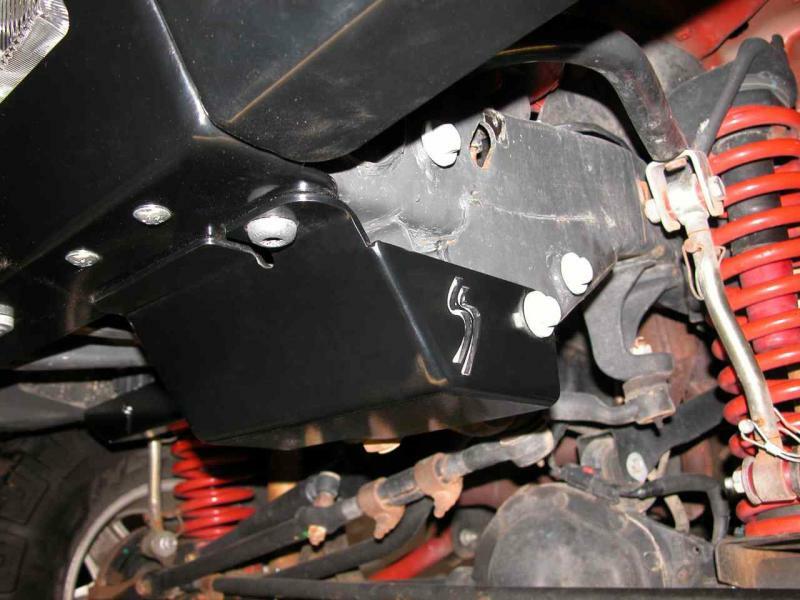 Constructed of 3/16" thick steel, they fit well and provide serious protection for your vulnerable steering box.